The Arunachal Pradesh government has handed over the case relating to disappearance and subsequent death of a student Toko Yame in Tawang district last year to the Central Bureau of Investigation (CBI). Yame, a class 12 student of Government Higher Secondary School (GHSS), Tawang had gone missing after a scuffle involving students of the GHSS and Jawahar Navodaya Vidyalaya (JNV) at Tawang on September 16 last year. His semi-decomposed body was found a week later at the Biga waterfall, near JNV in the district, on September 23. Though, initially a case under section 363/302 of the IPC was registered in this regard at the Tawang police station on September 16 last, it was later transferred over to the SIT on October 13, 2017. Accordingly, the team had arrested 20 people in connection with the case. However, they were later granted bail by the court. Questioning the efficiency of the State police’s Special Investigation Team (SIT) in probing the unsolved murder case, thousands of students and youths led by the All East Kameng District Students’ Union (AEKDSU) had on Monday taken out a mass protest rally in the heart of the Capital. The AEKDSU also threatened to impose an economic blockade on Tawang district and launch a non-cooperation movement against the state government if their demand is not looked into within 15 days. Various other students’ and political organizations including the All Arunachal Pradesh Students’ Union (AAPSU) and Arunachal Pradesh Congress Committee (APCC) had also been since long demanding a CBI probe into a the ten-month-old case. “The state government took note that the case is serious and sensitive in nature and also that representations have been received from the public. Therefore it decided to hand over the case to CBI for expediting the investigation process and for ensuring that justice is delivered to the bereaved family members,” a statement from the chief minister’s office on Friday said. 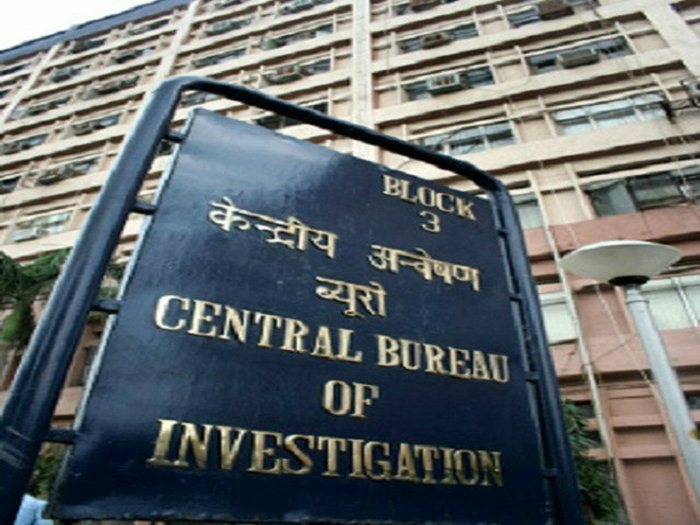 In a letter to the CBI, the state home commissioner said the competent authority has decided to transfer the case to CBI on the basis of the recommendation made by the state director general of police and also taking into note of demands for expediting the probe by various students’ organizations. “The gist of the case and status reports has also been submitted to the CBI,” the statement added. Welcoming the decision of the state government, AAPSU general secretary, Tobom Dai said the CBI should investigate the case on a fast track basis and without any political interference. Dai said that the government must also consider handing over the case of Late Ojing Taying to the CBI. Lt Taying, a former finance secretary of the All East Siang District Students’ Union was brutally attacked by some unidentified miscreants here on the fateful night of June 10 last year. He unfortunately succumbed to his injuries a few days after at the GNRC, Guwahati. “Since the case has been languishing for almost a year without any major breakthrough, the Itanagar police and the SIT must accept their abject failure in handling the case and hand it over to their Central counterparts,” Dai said. APCC vice president Minkir Lollen also echoed the same view and demanded that Lt Taying’s case should be immediately handed over to the CBI while AEKDSU president Chakang Yangda who has been leading the movement seeking justice for late Yame refused to comment on the matter while stating that they are yet to get any confirmation on the same.